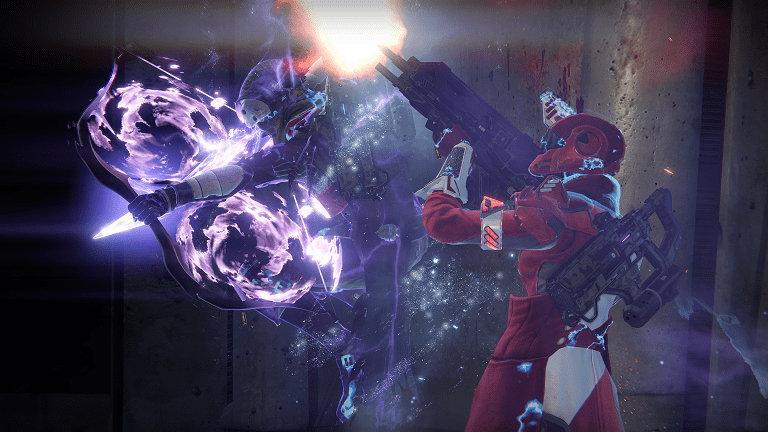 I have a confession – I can’t remember when I last played Destiny. Don’t get me wrong, I know what the last few things I did were as I completed the story (if you want to call it that), well at the least I got all of the way through the normal missions you can complete by yourself and had reached the mythical Level 20. Then…I kind of just stopped. That isn’t to say I didn’t want to carry on playing through Strikes or the PvP modes, more that I started to play other games and somewhere along the way, Destiny fell aside. I even purchased the first two expansions from the PlayStation Store, but didn’t install them at the time of purchase due to a lack of free space on my PlayStation 4, and so we come to my opening statement that I don’t know when I last played Bungie’s space-faring MMO-lite shooter. I think I might have to return though when The Taken King launches on the 15th September. 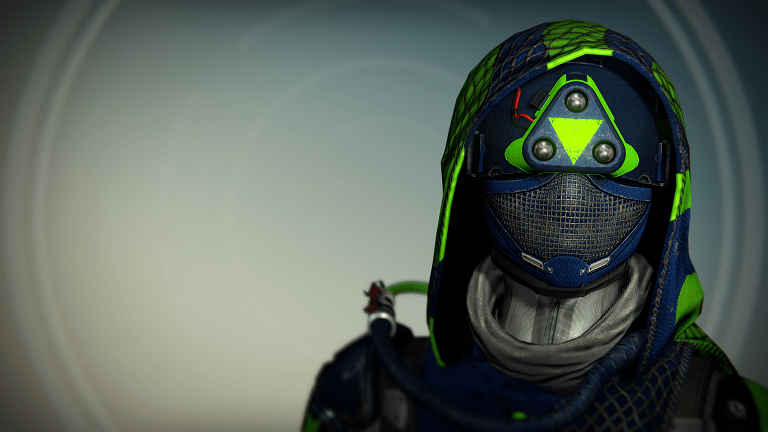 One of the main reasons that I am keen to return is that somewhere in the combination of The Taken King and what I believe is known as the 2.0 update, is a radical overhaul of levelling and equipment. I never spent as much time with Destiny as a lot of my friends did at launch, and they were all fairly soon over level 20 and into the Light Levels form of improving your character. I never felt I had the time to devote to the game to that extent, and as I wasn’t around to complete the Vault of Glass raid (which you need to do in an organised group, no matchmaking there), I soon fell behind the curve. As much of the high-end gear was locked behind complete the Vault of Glass, I felt that once I hit level 20, it would be a long slog to find good gear in Strikes and PvP. 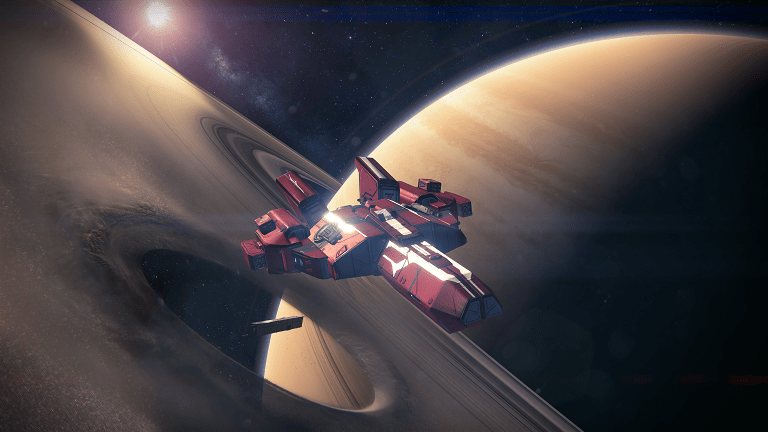 Saturn and a ship..if I was up with my lore I might know what this meant. With the September shenanigans that are coming to Destiny, Light Levels are becoming a simple indicator of your equipments strength, but you can climb the levels to the new level cap of 40 through earning more XP. It’s a much simpler system, and one that I am looking forward to getting involved in. Some of the more advanced forms of progression (Vanguard and Factions) are receiving an overhaul which pleases me greatly as I never got to a position where I could afford to equip a Faction item in order to receive their specific upgrades. Moving forwards, after a simple pledge of allegiance you will be able to work towards faction rewards. It also looks like you will be able to perform tasks for the Vanguard in order to work towards weapon upgrades. It all starts to sound so simple now! Is that a bow and arrow I see? Is that new? Destiny experts, please help! I like the sound of these changes, I really do. Though I do wonder what some high-level players who have invested a lot of time into their characters will think about what will happen. For me though, the chance to actually understand how I am levelling up my character and what I need to do to improve my weapons and armour is essential. The mystery seems to be clearing up, and I enjoy the fact that I will be able to approach the level cap without resorting to devoting hours at a time to completing a Raid. While my revamped Light Level might never be as high as my friends, the changes sound good to me. Add in the fact that Bungie are promising to greatly improve the storytelling with new cinematics and mission structure, I think a lot of people will be returning to Destiny come September. Losing Peter Dinklage, however great an actor he is, isn’t a great loss, and a video game voice over expert like Nolan North should be able to make Ghost a character you can relate to. Looks like there might be some shiny new armour coming along! The only trouble that I see coming is that The Taken King looks to be costing over £40. I really don’t understand how Bungie can hope to justify that type of outlay when people would have already spent the best part of £80 on the base game and the first two expansions. From what I understand, the retail versions of The Taken King include the base game and first two expansions…so why should those who have already invested in the game need to buy them all over again. I just hope there will an upgrade path on the console stores for those who already own all the Destiny content which won’t force people to fork out £40 for the new content. We will wait and see on that. That wizard, came from the moon.